Thinking about coming along but feeling a bit shy and wondering what *really* happens at one of our Tuesday Swing Socials? Why not let new dancer, Mr Dan Potter, be your guide? 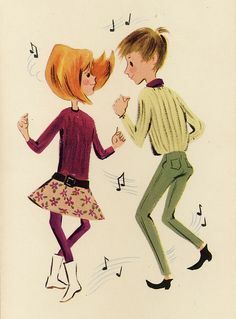 Manchester Lindy is proud to present a brand new blog series, written week-by-week, by someone just like you, someone who is just discovering the world of vintage dance – a Level-One-Lindy Hopper – telling it how it REALLY is!